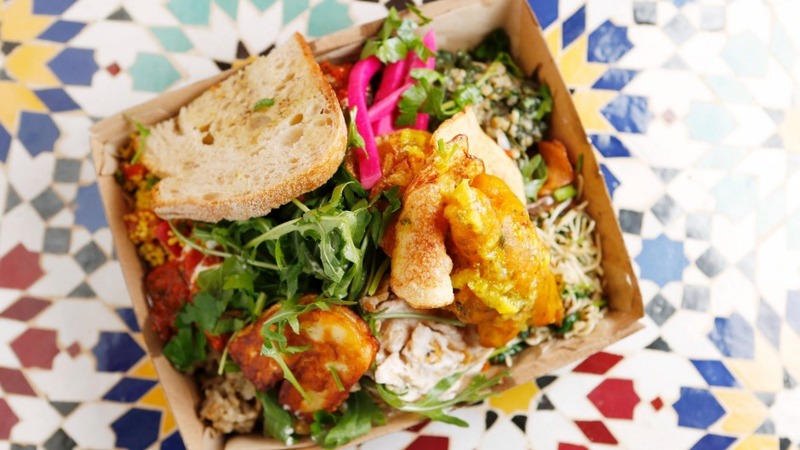 To combat the Tupperware-toting masses spilling out of her Fitzroy North restaurant, Moroccan Soup Bar, Hana Assafiri has opened a takeaway outlet about 600 metres up the road. Moroccan Soup Bar Two Go is basically a smaller, simpler version of the long-running Moroccan Soup Bar, with the same yellow and orange walls, mosaic-topped tables and shelves stacked with vibrantly-coloured tagines. But rather than ordering a vegetarian banquet, you can get rice and couscous dishes, dhal, salad, pickles and chickpea bake in a single $12.50 pack. If you bring your own takeaway container, you'll get $2 refunded. 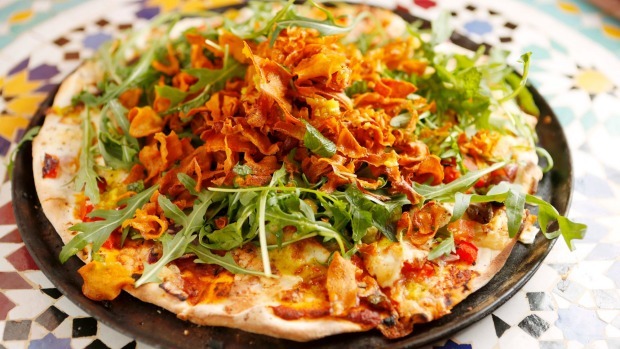 New to the menu are marrakizzas, Moroccan spiced flatbreads with various vegetarian toppings, cooked in the pizza oven inherited from former occupants Baci Pizza. Two Go is designed to reduce pressure on the original, so you can no longer get takeaway from the Moroccan Soup Bar. But the perks of getting it from Two Go are that you can order online, and that it's open for lunch, which means you can conceivably order and eat the famous chickpea bake twice a day. 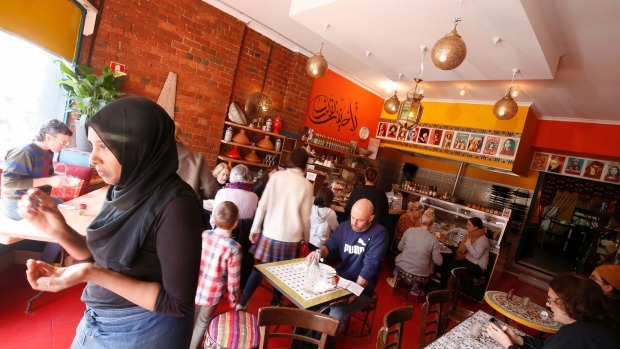 Assafiri, recently named a Legend by the Melbourne Food and Wine Festival, is also using Moroccan Soup Bar Two Go as the official headquarters for the Heart River Project, an initiative designed to help refugees and asylum seekers establish themselves in Australia. Open Tue-Sun 11am-3pm (dine-in or takeaway), 5.30-9.30pm (takeaway only).